NASA on Wednesday shared details on an upcoming mission that’ll send a probe closer to the surface of the sun than any spacecraft before it. The Parker Solar Probe, slated to launch no earlier than July 31, 2018, from NASA’s Kennedy Space Center in Florida, is roughly the size of a small car. It’ll use Venus’ gravity during seven flybys over the course of about seven years to bring its orbit close enough to the sun to conduct the desired experiments. 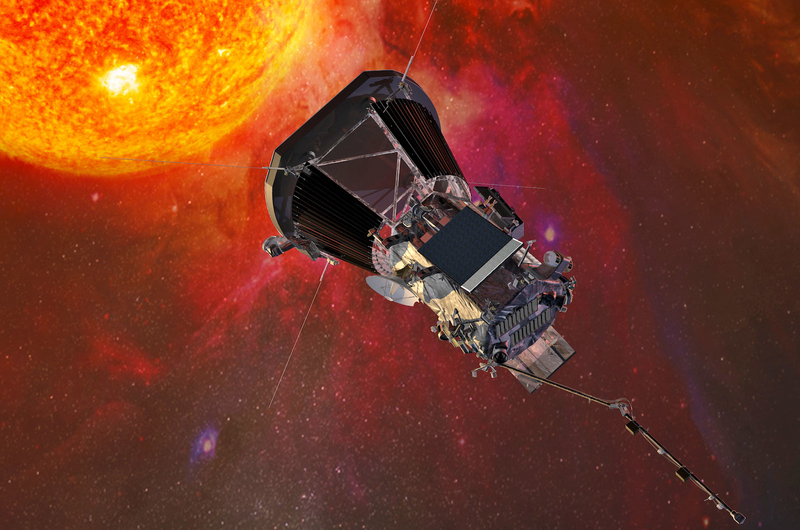 Facing intense heat and radiation, the probe will actually fly through the sun’s outer atmosphere (the cornea) where it’ll come within 3.7 million miles of the sun’s surface (for reference, Earth is on average about 93 million miles from our star). At its closest point, the Parker Solar Probe will experience temperatures approaching 2,500 F (1,377 C) as it zips by at 430,000 mph. Thanks to its 4.5-inch thick carbon-composite heat shielding, however, the spacecraft’s internal payload should never get above room temperature. NASA says the primary goals of the mission are to trace how energy and heat move through the sun’s solar cornea and explore what accelerates both solar wind and solar energetic particles. Scientists have sought answers to these questions for more than 60 years but only recently has thermal engineering advanced to the point where it’s safe to send a probe.